I’ve watched several surfing films and I was fascinated at how surfers were able to balance on their surfboards despite the horrifying waves. 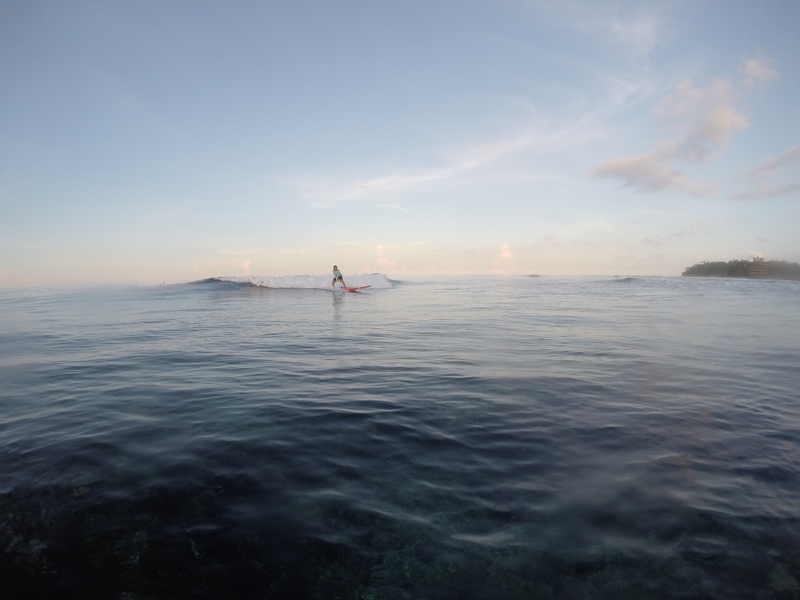 I would often imagine myself surfing but I never thought it would become real. A very inspiring film but it also increased my fear of Sharks. 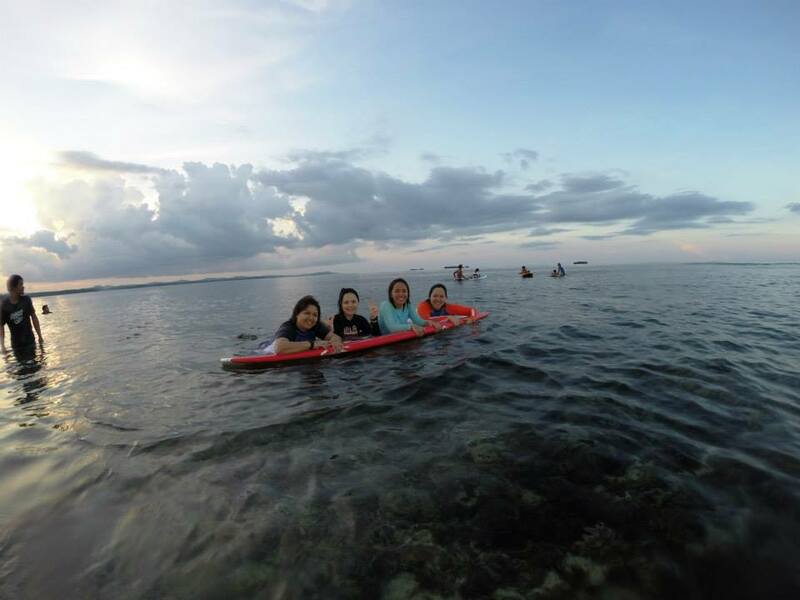 Ritha was planning to go Siargao with Joan and Cindy. She invited me and Rose to join them. I checked Cebu Pacific online and they had a Php 499 Seat Sale for Cebu to Siargao. I spent Php 1132.28 one-way. Since Siargao to Cebu was expensive at that time (no Seat Sale), I booked Surigao to Cebu instead since it also had a P499 Seat Sale. I spent Php 1469.88. Mactan-Cebu International Airport to Sayak Airport (Siargao) – 1 hr. 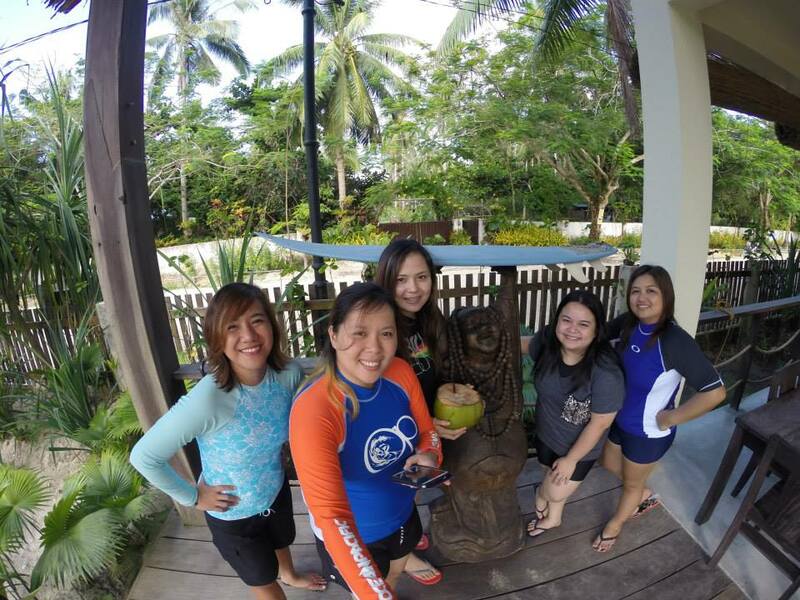 Surigao Airport to Cebu – 45 min. When Rose and I waited for our flight to Siargao, Cebu Pacific announced that there would be a two-hour delay. We were hoping that they would take care of our lunch (like how they did in the past) but unfortunately, we waited in vain. hahaha! We arrived at Sayak Airport 15 minutes early. We were planning to ride a tricycle from the airport to General Luna since it was cheaper but there were no tricycles in sight. We rode a van instead since there were a lot waiting outside the airport. There were only two of us along with two foreigners. We spent Php 350 each. Sayak Airport to General Luna – 45 mins. General Luna is a town where the resorts are located, including the famous Cloud9. 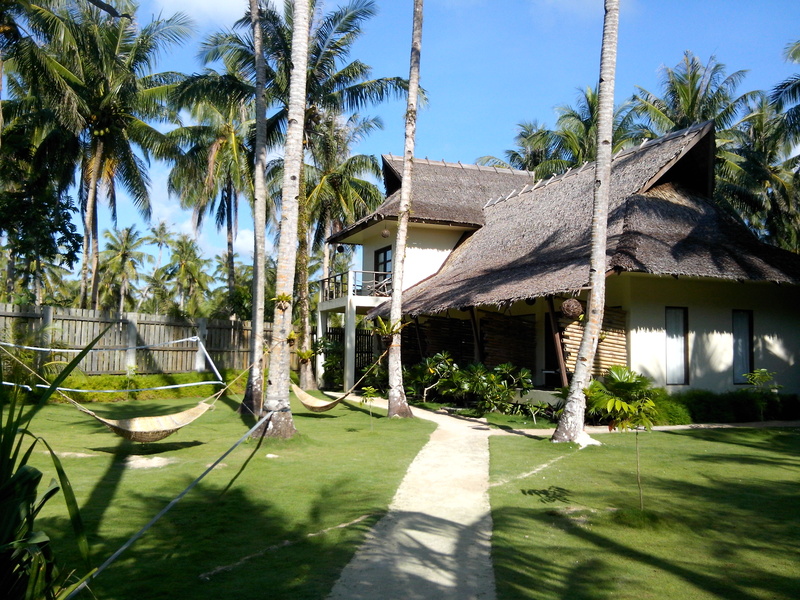 We were dropped off right in front of Buddha Surf Resort where we booked our stay for two nights. At the entrance, two handsome foreigners greeted us. I thought they were the owners but they introduced themselves as the managers. They offered us fresh coconut drinks. I really loved the place. Click here for the rates and more information about the resort. A few minutes after, Ritha, Joan and Cindy arrived. We changed our clothes into our “surfing attires” and off to Cloud9. We walked the road to Cloud9 thinking that it would take 30 minutes or less but it was far from Buddha Surf Resort. There were no tricycles or jeepneys. The main transportation was a motorcycle or habal-habal. 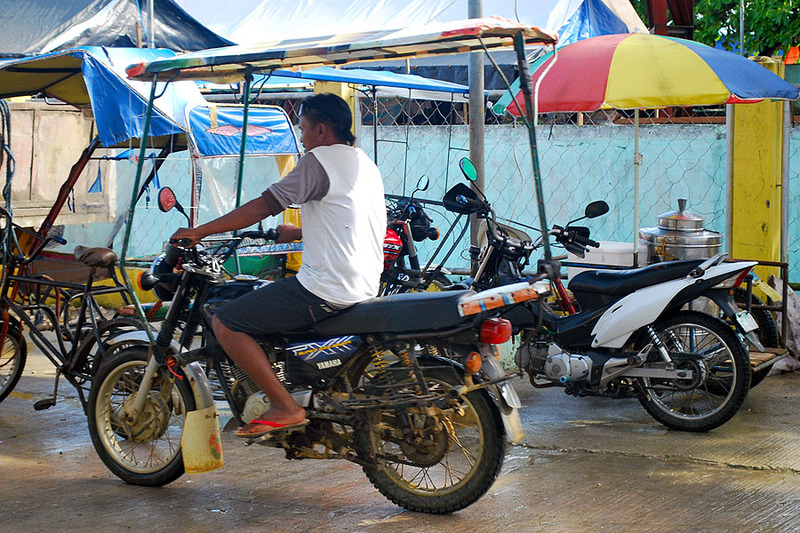 General Luna’s habal-habal looked different from the usual motorcycles in the Philippines. Some have canopies and a special compartment for surfboards on the sides. When we felt that we could no longer walk any further, we took two motorcycles. One could take about four or five passengers! 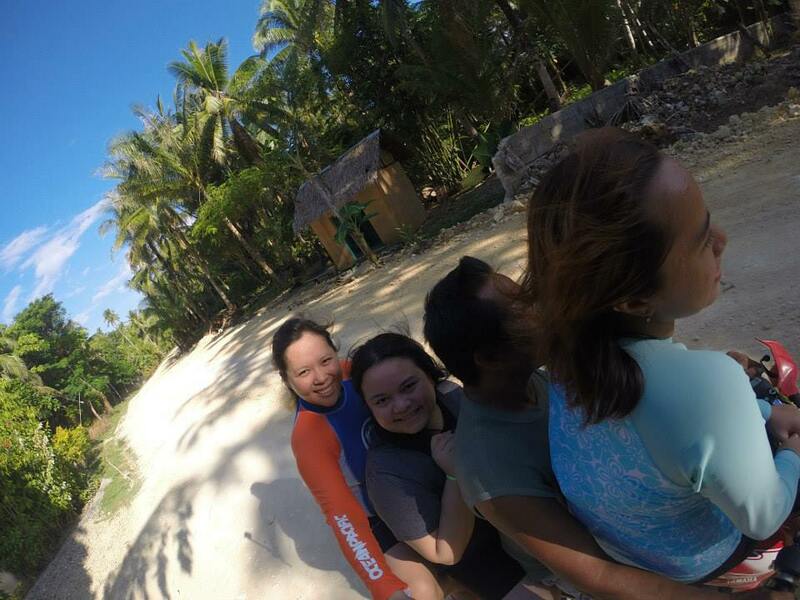 Our first time riding a habal-habal like this! We paid Php 20 each for the habal-habal. When we arrived at the Cloud9, there were surfing instructors waiting outside. 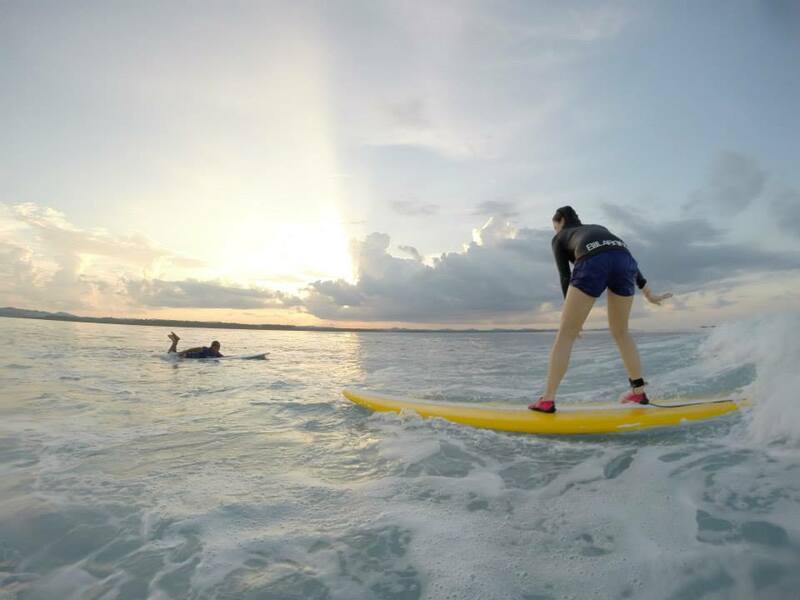 Each of us had our own instructor who patiently taught us the basics of surfing. We were then excited to apply what we’ve learned. 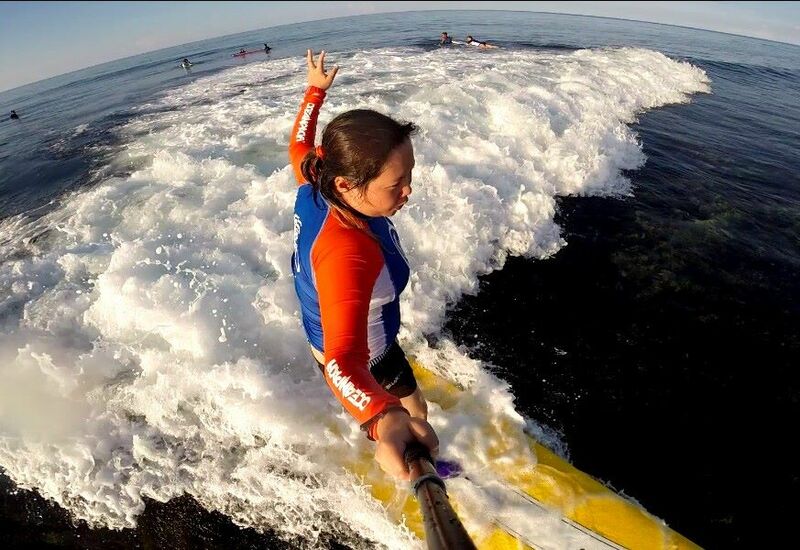 Awesome shot of Joan using her GoPro. I couldn’t get a good photo since I was too far. We went to a spot where it was already very deep. We were discouraged from staying near the shore because it was rocky and we might get into an accident. 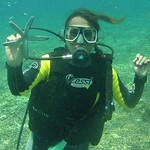 The first thing I asked my instructor was if there were any sharks. He simply answered yes but they were small ones. Thank you for making me feel better. Pffft. P.S. 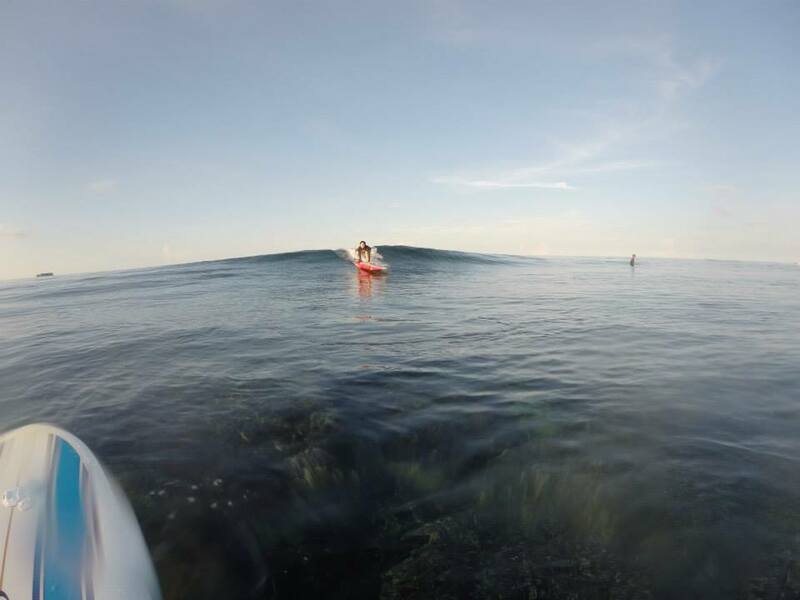 The photos were taken using a camera phone and a GoPro Hero 3. Credits to Joan Villahermosa for some of the photos that were used for this blog.